You may have heard that the only certified way to drive traffic to your own website is through organic search. But did it ever cross your mind that email marketing works just as well as the organic search? Email does not have the same connection to Google or any other search engines for that matter, but it is encouraging to know it improves the website ranking. When you closely think about email marketing and the concept of the SEO services, it is very unlikely that you will find any connection between the two. Google never indexes the content that you send in your individual emails. So the question is, how does it affect your ranking? The engagement and response that comes from the emails is what boosts the SEO ranking. You ought to learn more about this ranking so that you can get a clear picture of how email marketing works for your business. Boosts your engagement rates – Whether you are looking to boost your social media following or your website traffic, the engagement rate on the content you post is key. Email marketing is a very easy technique to implement. This can be done by tailoring your email content to fit the audience that you are targeting as well as highlight calls to action that make your readers want to respond to that content. The higher the engagement rates on each email, the higher it will rank in the search engine results page. How cool is that? Creating high quality emails that give you the results you want requires that you use tools like mail chimp and Get Response that have been proven to be a success. Helps you maintain dedicated mailing lists – Bloggers have a lot of content covering different subjects. Not all subscribers will be interested in every ounce of information you share. That’s why you ought to use a dedicated emailing subscriber sign-up that will help you create custom email marketing lists where you will be able to deliver custom content to the subscribers who would want to read it the most. Tools like Grammarix and Easy Word Count will help you in organizing your mailing lists. Make use of them! Saves you from writing long newsletter content – Most people who believe in newsletter marketing will tell you they spend too much time trying to come up with the best content that their reader will enjoy. They may spend all this time yet the reader is still not moved by the content that is placed before them. To boost your ranking, why not convert the long newsletters and cut them into short emails that readers will take little time to read and be captivated? You can use tools like Litmus and Mail Munch that will help you to convert such kind of content easily. Helps you promote your content – One of the most effective ways of boosting your engagement and your SEO ranking is by promoting the content that is on your own website through emails. This way, your subscribers will not miss out on what is going on. The more views and engagement that happens on your content, the higher your ranking. 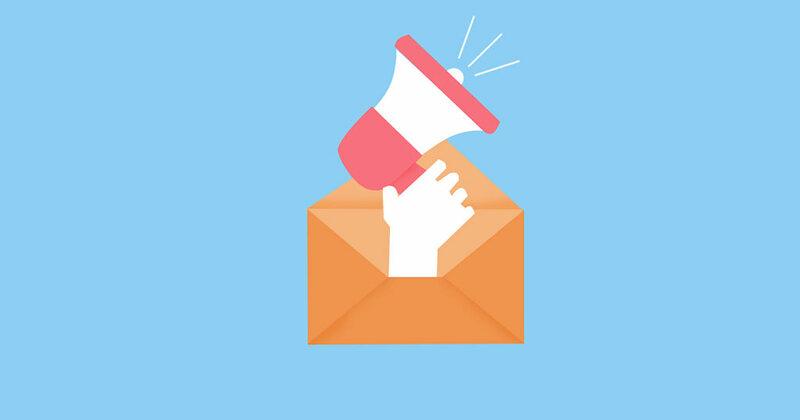 Boosts your social media engagement – Email marketing is a great way to boost your social media follower count and engagement rates if implemented correctly. Your social media pages always do count towards your SEO ranking. This is especially when it comes to click through rates and backlinks. When creating content for such email, you can source content easily from services like Essay Roo tools or perfect your writing using various online resources. Helps generate landing pages – Advertising certain products or services on your website helps you create landing pages for each of these items. The more landing pages you have, the more opportunities as you will have created vital inbound links which will boost your overall SEO ranking. Do not forget to create irresistible and engaging subject lines for your emails using tools like the Boomessays or UK writings so that your readers are almost glued to your emails. Decreases bounce rate – If someone visits your website and leaves immediately, it is counted as a bounce. The signal is sent to Google that the visitors have not found the information that they wanted. To reduce bounce rates, your landing pages and blog posts must have relevant high quality content in order to engage users. Ensure that your email list has enough people that have already demonstrated an interest in your firm, whether by signing up for your newsletter or blog or by downloading a free report. Keep your list healthy by including an easily found unsubscribe function in each email so that users do not feel like their rights are being infringed upon. You cannot give any excuse to fail in business since all the necessary tools have been provided to help you advance your business through technology. The art of learning how to use this technology is key in ensuring you get the best out of it. There are many ways in which email marketing directly relates and connects with your business’s ranking. It is therefore important to remember that when operating your email marketing campaign, it is possible to do amazing things with only an email that can immensely grow your business. Who says email can’t help drive SEO results? The above strategies can greatly boost your search engine rankings. You also need to determine what initiatives you need to start to see your email out there either weekly, monthly or as scheduled to ensure you are boosting your SEO initiative quite often. Write email content which is SEO friendly. This will help strengthen your email marketing and ranking – that is killing two birds with one stone, which is commendable for every business. Now that you have learned the truth about email marketing, go on and make a difference with your emails. Happy email marketing and remember to give it your level best!